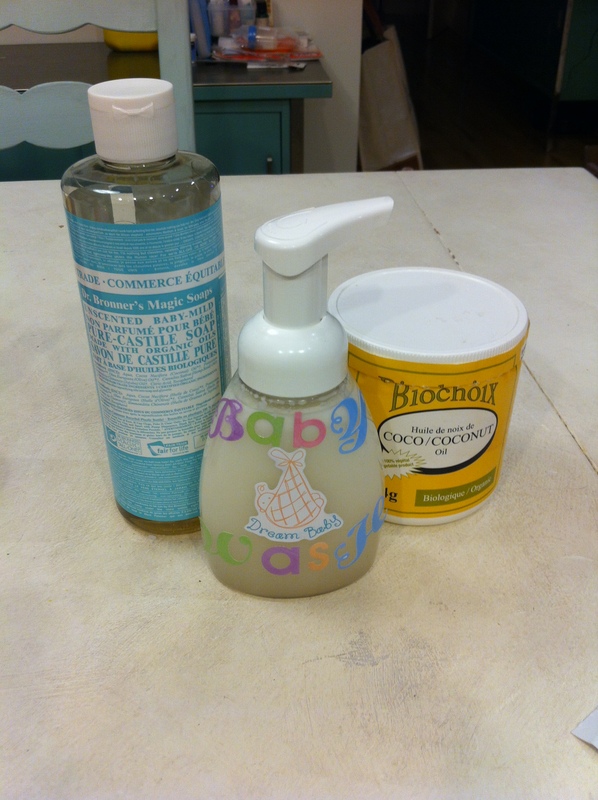 DIY organic baby products – if you can make Kraft Dinner, you can make this! Admittedly I am a first time mother and, like all new parents, my husband and I are probably a bit over protective of Sweet Pea. If we do have another baby I’m sure we’ll allow our second child to lick the floor, sleep with our cats, and spend all day in a dirty diaper…but for the moment, at least, we’re your stereotypical over-protective, over-eager & over-tired parents. With all the “how to be paranoid while expecting” type books and articles on the web, can you really blame us! Before Sweet Pea was born, I did a lot of online research into making your own organic baby products. We had read all sorts of articles about the dangers of chemicals in baby wipes, diaper rash cream and detergents, plus we had also spoken to many of our friends whose little ones got severe diaper rashes from the perfumes and synthetic substances in the various store-bought baby products placed upon their skin. (Cue the eye-rolling here…) Yes I know that we all grew up and survived just fine when our moms used these products on us, but they also used to prescribe Lysol for douching – just because something was done in the past doesn’t necessarily mean it is the best choice now. I am also not claiming to be an organic zealot – yes my baby will someday come into contact with store-bought shampoo, regular baby wipes, and your everyday diaper rash cream… but if I can find an easy way to make healthier products for my child why not! 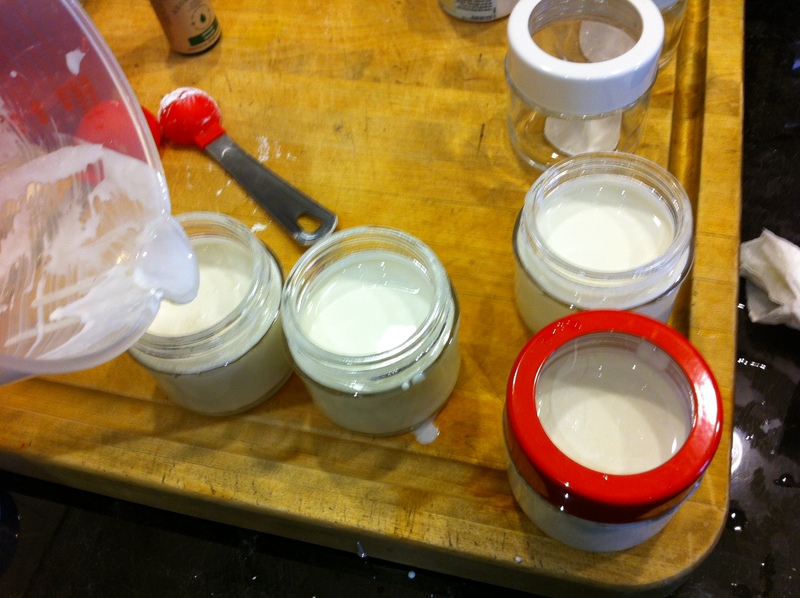 My desire to make my own organic baby products was two fold. 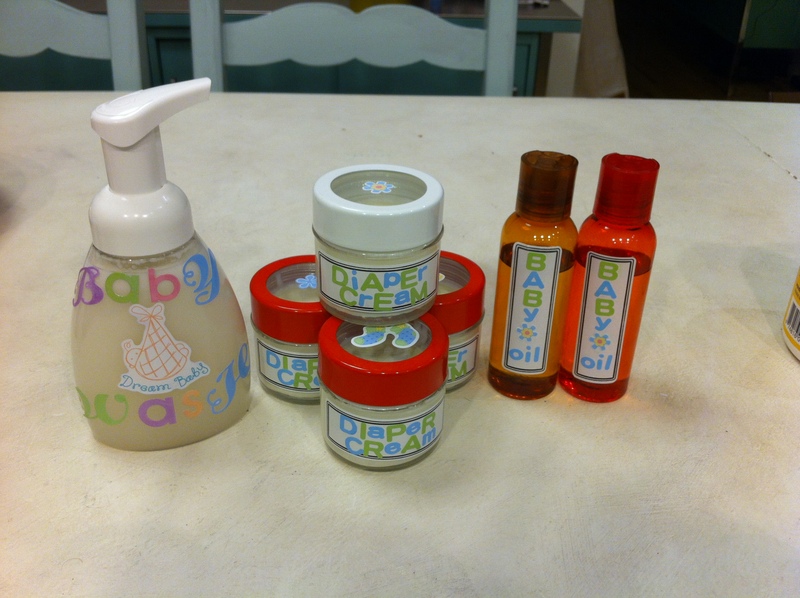 After finding some simple online baby product recipes, making a few tweaks of my own, sourcing economical places to purchase the supplies and containers, I whipped up a batch of Diaper Rash Cream, Foaming Baby Wash/Shampoo, and Baby oil. Coop Coco is where I soured most of my ingredients – they sell organic soap making materials in bulk and ship all over Canada. Plus they have a storefront if you’re local. Many of their prices were cheaper than my local health food stores. I love this place! I got the coconut oil from the grocery store (I found it was cheaper there than any health food place) and most of my bottle & glass jars are from the dollar store. So are the labels I put on the jars – but these are really not needed. 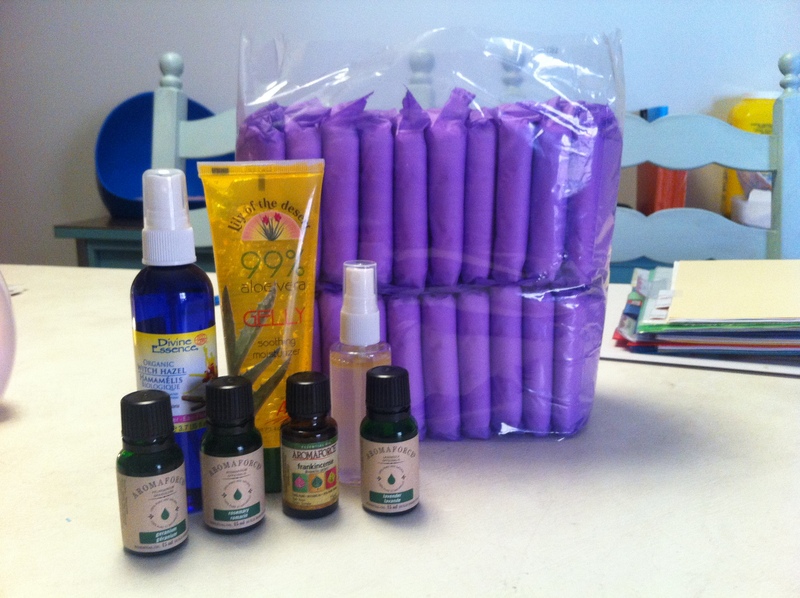 The ingredients and supplies cost me around 60$ – but I’ve got enough diaper cream to last 5 months and enough supplies for baby wash and oil for at least a year – so I think it was money well spent. A Month in, I’m happy to report that even while sleep deprived, I’ve easily whipped up my second batch of Baby Wash, the Diaper Rash Cream is working, and my little one loves the calming Baby Oil I apply after his bath. So here are the recipes and methods I used. 3 tbsp Zinc Oxide (Some people have issues using this ingredient, but I did a lot of research and felt that it’s moisture repelling properties were needed) – you can omit this if you’d like – especially if you are using cloth diapers. 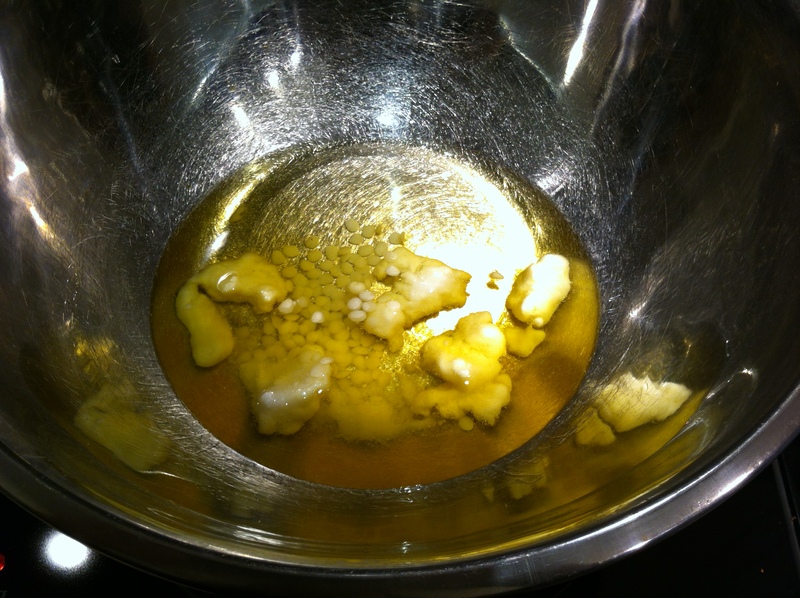 2) Melt Shea butter, coconut oil, and beeswax in bowl placed above a pot of hot water (double boiler). It should only take a couple minutes for everything to melt together. 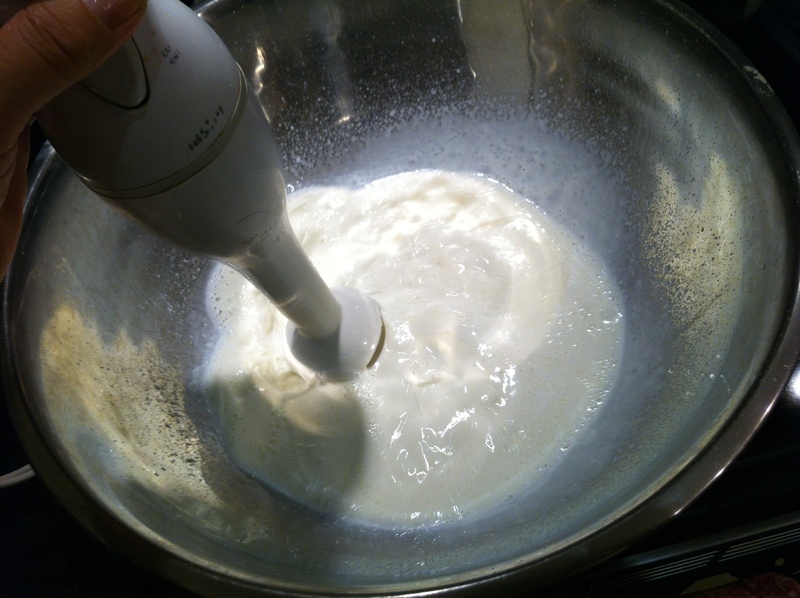 3) Add the zinc oxide to the bowl and mix with a hand blender/mixer for several minutes until the powder is completely incorporated with no clumps. 4) Add 15 drops lavender essential oil and mix to incorporate. 5) Pour mixture into containers and allow to set. *** Zinc oxide is water repellent so as soon as you’re done pouring your mixture into jars, you’ll want to wipe down your bowl/mixer with paper towels and wash right away. I used this simple online recipe you could also add 3-5 drops of Lavender and/or Orange essential oils to the wash. The recipe calls for distilled water to prolong the shelf life of the Baby Wash. In the first couple of weeks I used this soap for diaper changes so I went through quite a bit of it. My next batch I’ll probably just used regular water and eliminate the distilling step. This was a useful link for distilling my own water. 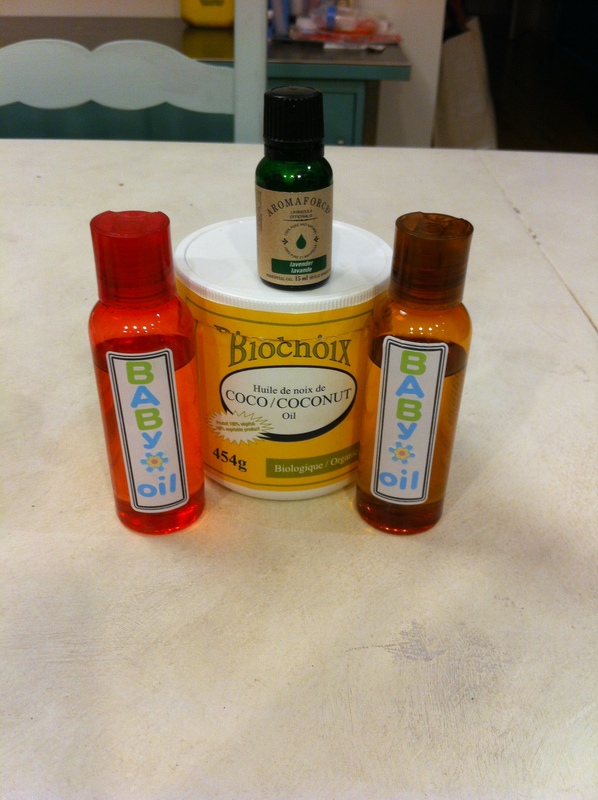 2) If needed melt your coconut oil – then pour into container. 3) Add lavender drops and shake bottle to incorporate. **Depending on the coconut oil you use, the oil sometimes solidifies. I just soak the bottle in a bowl of hot water while I’m bathing my little one – so the oil is ready to go for the after-bath massage. I haven’t yet ventured to make my own wipes (I bought a boat load of these rather pricey organic ones)…but there are a ton of online resources for making these too so maybe I’ll give it a try. Padsicles – the only item you place in the postpartum ward fridge that other people won’t eat! Everyone warned me about the morning sickness that comes before a baby and the sleep deprivation that comes afterwards but people tend to gloss over the actual nitty-gritty details about giving birth – things that a lady should really be told. 2) You do not exactly forget the labour pain when they place your little miracle on your chest…in fact you are reminded of it every time you sit, go to the bathroom, sneeze or cough. 3) There will likely be some damage down there that will require stitches and it will take a couple of weeks for this to heal. One thing I am glad I discovered on the internet before I delivered was something called padsicles! – not as delicious as popsicles…but almost as satisfying. “What are padsicles?” you might ask… they are maxi pads treated with various healing ingredients and then frozen. When the time comes (and it will!) you pop one out of the freezer and use it as you would a regular maxi – only this frozen one helps to bring down swelling, disinfect and heal your lady parts so that you can maybe one day not want to strangle your husband or partner when 5 minutes after you give birth they announce how the baby can’t grow up an only child and absolutely needs a little brother or sister. There are all sorts of DIY padsicle recipes and instruction videos you can google online so I won’t add to the clutter. I’ll just say that I was so thankful to come across these two great blogs, their padsicle recipes, and step-by-step instructions. 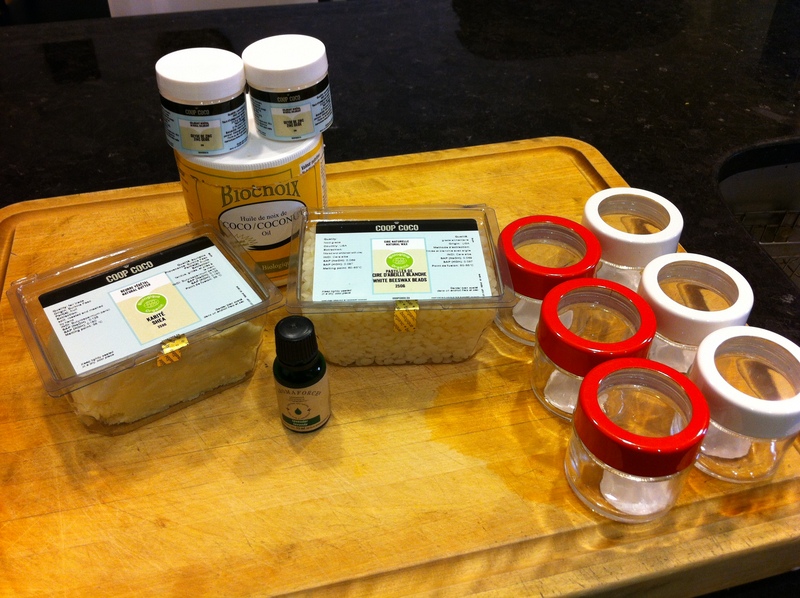 I ended up using this recipe because it described the healing properties of each of the 4 essential oils used. (Calming swelling, cellular regeneration, scar prevention, disinfectant, muscle strengthening etc.) Plus my best friend works for a natural health company so I can purchase the essential oils at a major discount. But if you don’t feel like forking over tons of money for essential oils you’ll only be using a couple of drops of, this simpler recipe requiring only lavender essential oil is just as good. Any health food store should have all the ingredients needed to make the pads – just be sure to get 100% witch hazel as opposed to the one at the pharmacy that is mixed with alcohol. If you’ve got the time to whip up a batch of padsicles prior to delivering, I highly recommend it! They would also make a pretty awesome DIY baby shower gift!